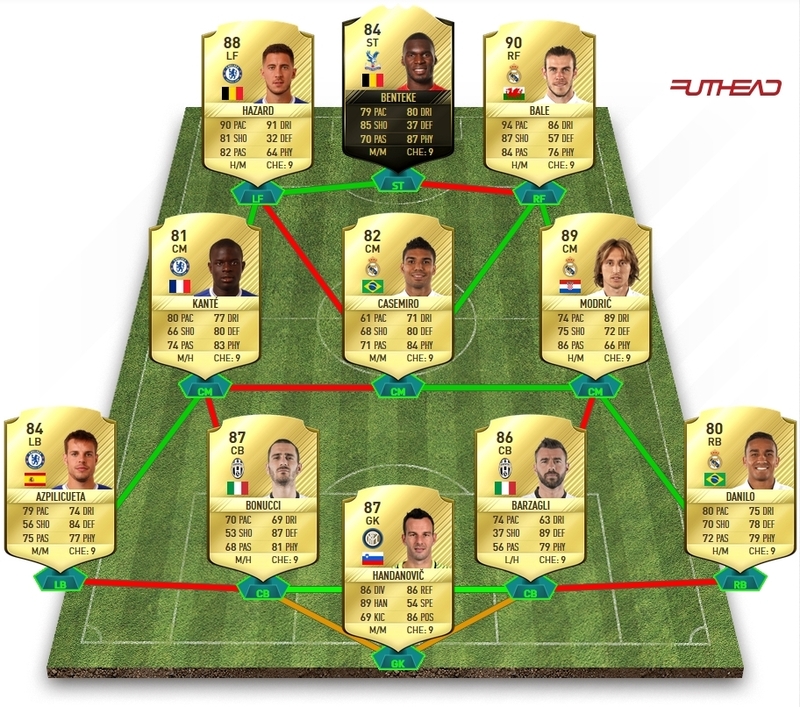 It definitely got everything imo but it's a bit weird in the attack, maybe it's IF Benteke? Definitely wanna upgrade Effenberg for Casemiro later on but i think Casemiro will do his job there. Some opinions on that? Definitely wanna keep Hazard and Bale. about 200k to improve. Also i wanna know if someone got decent custom tactics for the 4321 because every opponent uses it nowadays and it's really hard to beat them if they got any custom tactics. I find the 4-3-2-1 pretty easy to play against as soon as the first midfielder comes to press the ball on cdm then I have 2 cm's as options but usually can get it straight to the cam.